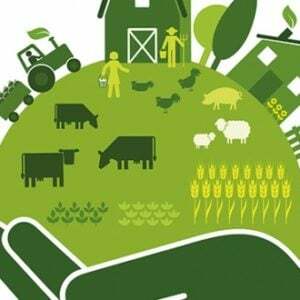 Many agricultural scientists research ways to make agriculture more sustainable. As a geneticist, I see genetics as a solution to many of the problems that farmers face, be that disease resistant plants and animals, or species that are optimally suited to their place in agricultural production systems. Plant and animal breeders have perhaps the most compelling sustainability story of all time. 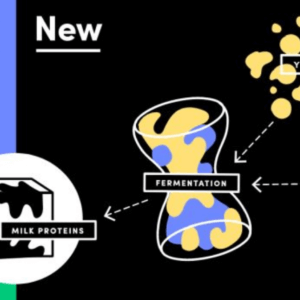 Genetic improvements in our food species have dramatically increased the yield per plant, animal, or acre – and unlike other inputs – genetic improvements are cumulative and permanent . 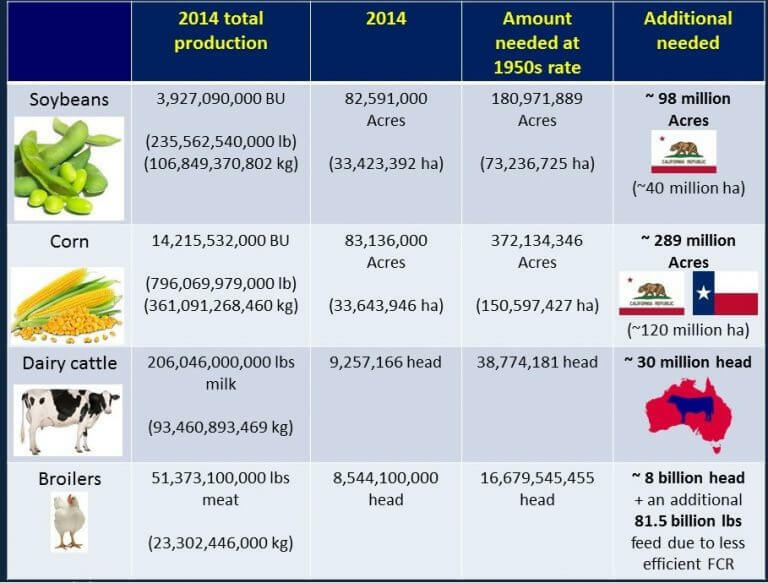 The following graphic illustrates the additional land and/or animals we would need to deliver 2014 levels of production using 1950s genetics and farming methods. Since I am an animal scientist I am going to focus on that last row containing the broilers. If not for the genetic and management improvements in broiler production since the 1950s, we would need to grow an additional 8 billion animals annually to equal the production achieved in 2014. Think about that number. 8 billion more. Every year. It’s obvious that staggering advances have been made in plant and animal production since the 1950s. How did breeding companies achieve such improvements? They did it largely through conventional selection which includes sophisticated techniques such as genomic selection, large pedigrees, and very comprehensive performance recording for a number of traits. For example, Cobb (Cobb-Vantress Inc., Siloam Springs, AR) records 56 individual observations on each pedigree selection candidate in their broiler breeding program. More than 50% of these 56 individual traits are some measure of health and fitness of an individual. This underscores the importance of combined selection for many traits, including robustness, specific and general disease resistance, absence of feet and leg problems and metabolic defects in the breeding objectives. Current breeding programs are improving the efficiency of meat production in the broiler industry by 2–3 percent per year. In the United States, growth rates and breast meat yields continue to improve by 0.74 days and 0.5 percent per year for a broiler grown to 5 lbs, respectively, whereas the feed-conversion ratio (FCR, lb of feed required to obtain one lb of growth) is decreasing by 0.025 per year. At the same time, the livability (survival expectancy) of broilers is improving 0.22 percent per year, and condemnation rates have decreased 0.7 percent per year. 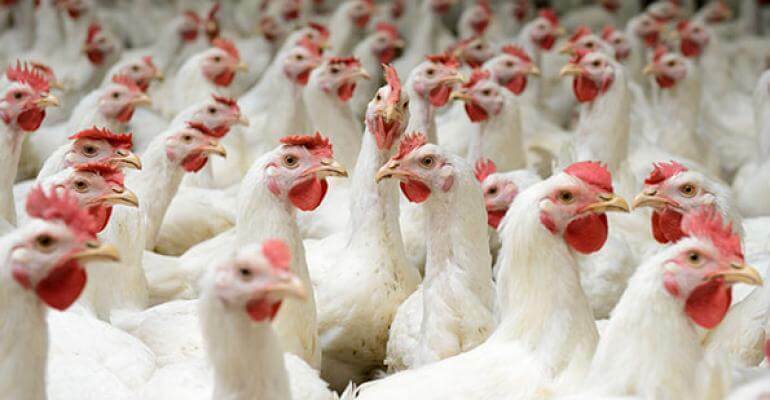 So by using balanced selection objectives that consider not only efficiency but also the health and fitness of birds, breeders have been able to improve the feed conversion ratio, decrease condemnation rates and increase the survival expectancy of broilers. This would seem to align with most people’s values of decreasing the environmental footprint of food production by improving efficiency, and also improving the livability (decreasing mortality) of the birds. Is this a rare example of a win:win situation? 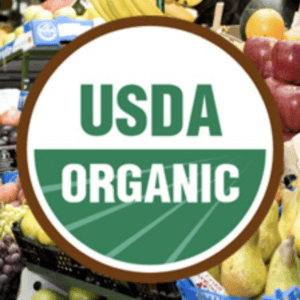 Not according to Whole Foods, which has committed “to replace fast-growing chicken breeds with slower-growing breeds.” Although this change is not expected to be completed until 2024, Whole Foods is the first major food company to make this change. And why? Well according to Theo Weening, the global meat buyer for Whole Foods Market, the slow-growing bird “is a much better, healthier chicken, and at the same time it’s a much [more] flavorful chicken as well”. Unfortunately, he does not present any data to back up those wishful claims. Why would slow growth equate to a more flavorful chicken if none of the other production parameters changed? And what is the basis for suggesting they are healthier, which seems to contradict the evidence-based literature suggesting that the livability (survival expectancy) of broilers is improving 0.22 percent per year due to selection? Global Animal Partnership (GAP), an organization that Whole Foods set up to create welfare standards for its suppliers, seems to have arbitrarily decided that “slower growing,” is equal to or less than 50 grams of weight gained per chicken per day averaged over the growth cycle, compared to current industry average for all birds of approximately 61 grams per day. This means that in order to reach the same market weight, the birds would need to stay on the farm significantly longer, 58 days rather than 44 days. It does not take a rocket scientist to figure out that slower growing birds require more feed per pound of gain (the feed conversion ratio (FCR) is 2.2 for the slow growing birds, versus 1.9 for the industry average). In all, the impact of adopting slow growing birds is a 34 percent increase in feed per pound prime meat, a 40 percent increase in gallons of water and a 53% increase in the manure per bird marketed, and a 49 percent increase in costs per bird marketed. So in one fell swoop this decision dramatically increased the environmental footprint of broiler production by intentionally switching to a “Hummer” type of chicken rather than a “Prius”. And to what end is this big step backwards in terms of sustainability being undertaken? Theoretically for animal welfare. But what is absent in this discussion is why slower growing = better welfare. Why is growing at less than 50 grams of weight gained per chicken per day for 58 days better for welfare than growing at 61 grams per day for 44 days? Where is the objective, evidence-base to support this assertion? Nothing else about how the chickens are being raised is changing, they are just around for 14 more days before slaughter. Upon receiving an award “recognizing the commitment that Whole Foods Market and GAP have made to offering only slower-growing chicken breeds by 2024”, Anne Malleau, executive director for GAP stated “By addressing fast growth in chickens, we will be getting to the root of the welfare problem facing chickens today.” That may be her opinion, but I would like to see the data supporting this contention – where is it shown that growing at less than 50 grams of weight gained per chicken per day is associated with improved welfare? What metrics were used? And does that mean even better welfare is associated with growing even slower? The evidence base for this determination is important given this decision has real negative impacts on the environmental and economic components of sustainability. There are almost always goal conflicts and tradeoffs between the environmental, social, and economic goals of sustainability, and as a result of these goal conflicts we have all sorts of marketers profiting off this to suggest THEIRS is the ONLY truly sustainable system! 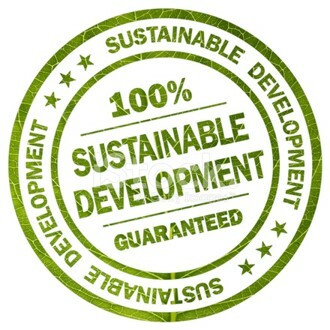 At the current time the evaluation and ranking of sustainability goals is subjective and open to interpretation by marketing groups. While marketers are free to make decisions that appeal to their target customer, it is important to consider the actual implications of these decisions. In this case the unproven claim that chickens have to gain less than 50 grams of weight per day to have “good welfare” must be balanced against the very real increase in the environmental footprint and cost of broiler production associated with the adoption of “slow growing” genetics. And perhaps as concerning to me, these arbitrary marketing decisions made in the absence of any data are working in direct opposition to the efforts of agricultural scientists to improve efficiency and decrease the environmental footprint of food production, a goal that I believe is also an important component of sustainability. This article appeared on the GLP on April 13, 2017. A version originally appeared on the UC Davis BioBeef Blog as Are slow-growing chickens better? and has been republished here with permission from the author.